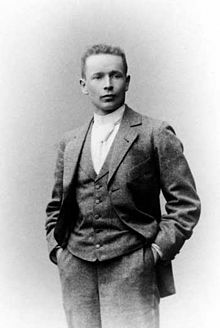 In 1923 the great Finnish architect Eliel Saarinen came to Chicago after his design in the competition for Tribune Tower placed second. Settling in Evanston and working on a scheme to develop the Chicago lakefront, he was clearly taken with the potential that Chicago possessed. From that moment on Chicago got to work. I’ve been doing a lot of research lately about Chicago in the late 1920’s, and it must have been an amazing time. Hundreds of miles of roads were being widened, hundreds more paved for the first time. 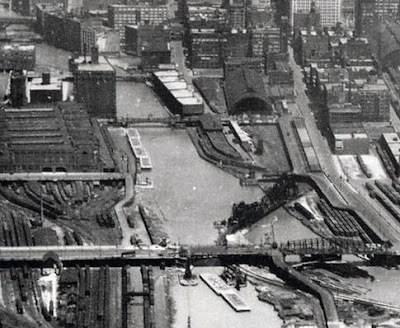 The Chicago River was straightened south of Polk Street. Lake Shore Drive was extended all the way to Hollywood. South Water Street was reborn as the double-decked Wacker Drive. Michigan Avenue was widened, and the Michigan Avenue bridge turned the little country lane that was Pine Street into the Magnificent Mile. Between 1926 and 1930, in less than four years, 168 buildings taller than ten stories were built, including the Daily News Building and the Civic Opera Building, facing off against one another across the river, finished within three months of one another. It must have been an incredible time with new schemes announced every couple of weeks, plans that would transform the city, providing the foundation for the great modern city that we know today. But not every plan was practical, and many ideas were tabled. The city debated the possibility of a subway system for nearly three decades. The link bridge across the river at Lake Shore Drive took nearly 15 years of negotiating before it was finally built. I came across one scheme, though, that really made me chuckle. An article that ran in The Chicago Tribune on July 21, 1927 began with this headline: PLAN AIRPORT ON TOP OF CHICAGO’S NEW POST OFFICE. In some ways the scheme made perfect sense. 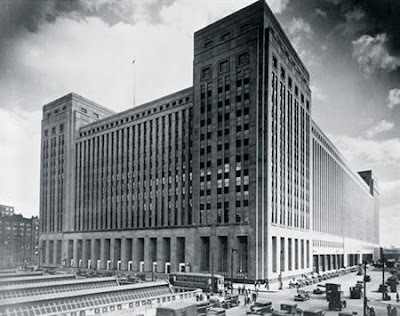 The new post office was to back up to the brand new Union Station, a plan that allowed the direct handling of mail to and from trains entering the station. Combine air mail and mail car connections at the same facility, and you have got yourself a doozy of a new post office. Of course, the post office was completed in 1932. 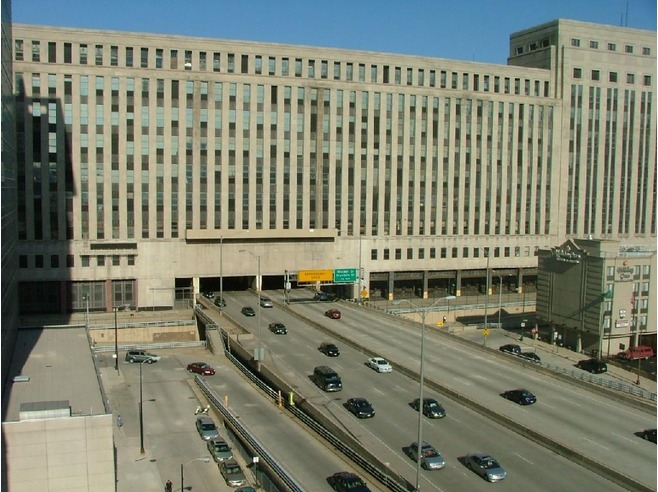 It had 2,485,000 square feet of space and room for 5,500 postal employees. The rooftop aerodrome was scrapped early on in the process. Instead, Graham, Anderson, Probst and White provided space for an eight-lane highway to run right through the middle of the building. 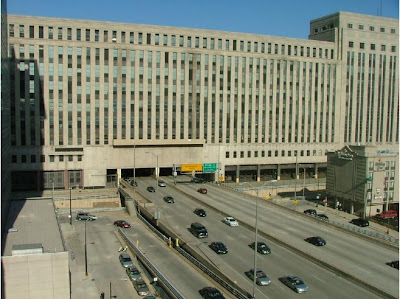 The highway wasn't finished for another 23 years, but if everything had been done according to the original plan it would have been great fun to watch the planes landing and taking off on the roof while driving toward the tunnel beneath the largest post office in the world. Loved this one, they sure had unique ideas! I definitely agree with making lists for blog ideas.